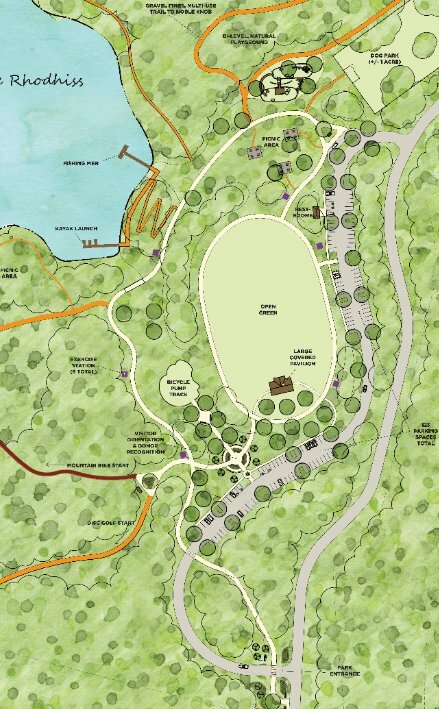 Fundraising is underway for amenities at the 300 acre passive park on Lake Rhodhiss. FVR worked with the Town of Valdese and Foothills Conservancy of NC for 3 years to acquire the land, which closed in January 2018. The park will not only provide recreation, but will have a positive economic impact on the town. Currently, there are a few trails for hiking and mountain biking, and you can fish. Park is open dawn until dusk for you to explore at your own risk. This is not a finished park. The trails are marked with ribbon. There are no restrooms, no gravel/paved parking lot, no benches, picnic tables. But, it is beautiful! To ensure this is the “people’s park,” input meetings were held for groups listed below (Nov – Feb 2018) and feedback taken again at the draft plan presentation on April 3 by Destination by Design. The property is located off Lovelady Road – between Draughn HS & McGalliard Falls (directions) – you can explore now at your own risk. 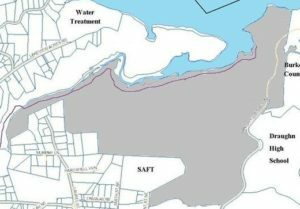 The land was purchased with grants from the CWMTF, PARTF, the Rostan Family Foundation and Kellex Seating. Valdese Lakeside Park Slide Show for Nov 3 Celebration thanking all involved in the land purchse. 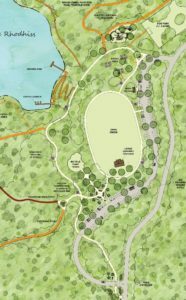 The early Valdese Lakeside Park Plan covers the history of this project, benefits of the park and details of the park. It was used to generate initial interest in the project.